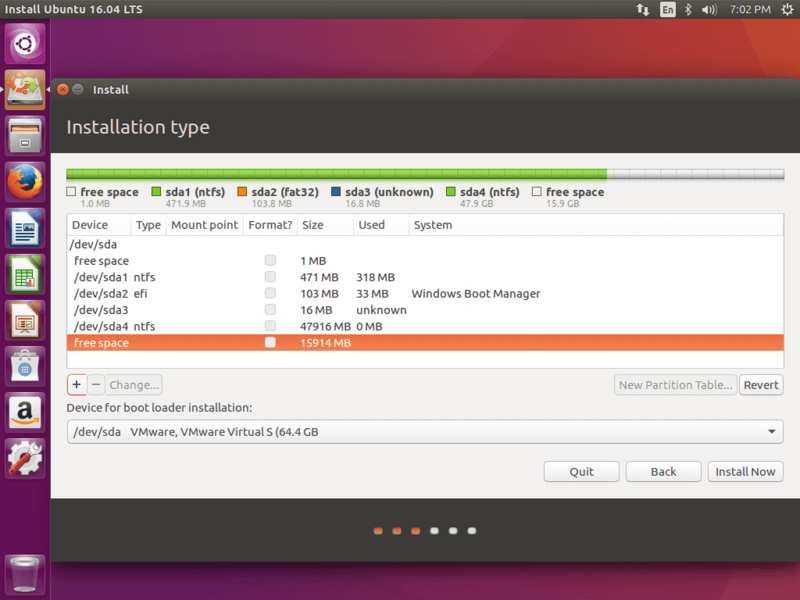 This article will guide you through the steps how you can perform the installation of Ubuntu 16.10 and Ubuntu 16.04 in dual-boot on a machines with Windows 10. This tutorial assumes that your machine has Windows 10 OS or an older version of Microsoft Windows, such as Windows 8.1 or 8 already installed. In case your hardware uses UEFI then you should modify the EFI settings and disable Secure Boot feature. 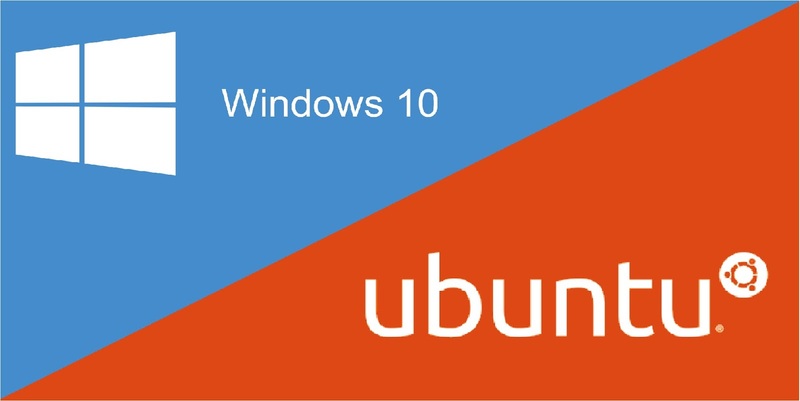 If your machine has no other Operating System already installed and you plan to use a Windows alongside Ubuntu 16.04/16.10, you should first install any version of Microsoft Windows and then proceed with Ubuntu 16.04 installation. In this particular scenario, on Windows installation steps, when formatting the hard disk, you should allocate a free space on the disk with at least 20 GB in size in order to use it later as a partition for Ubuntu installation. 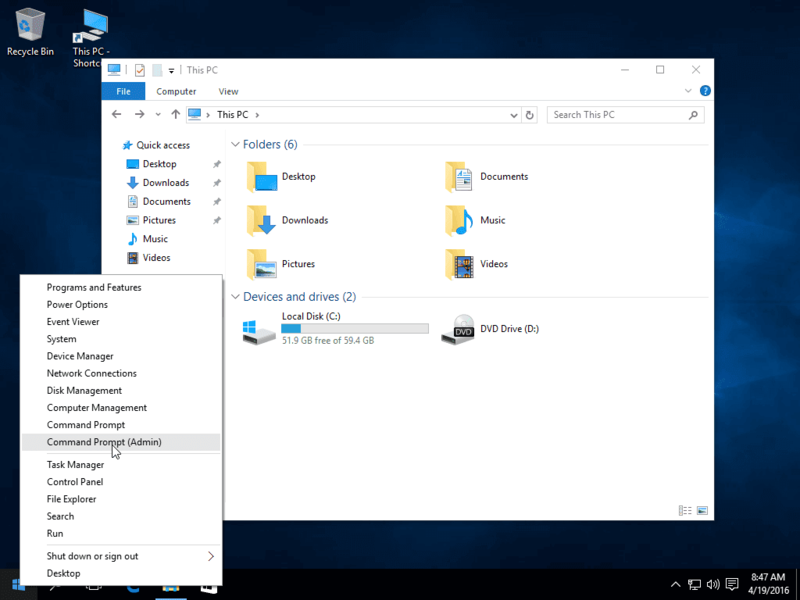 The first thing you need to take care is to create a free space on the computer hard disk in case the system is installed on a single partition. 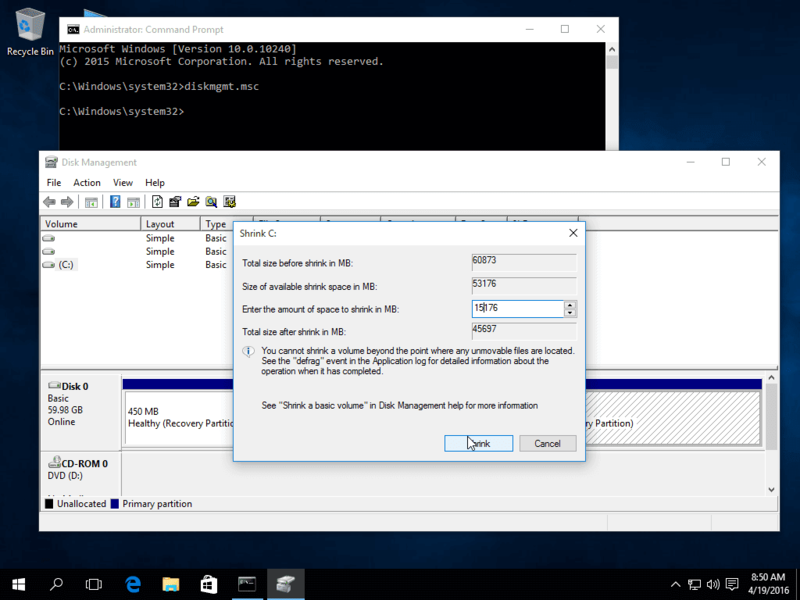 Now type diskmgmt.msc on command prompt and the Disk Management utility should open. From here, right click on C: partition and select Shrink Volume in order to resize the partition. On Shrink C: enter a value on space to shrink in MB (use at least 20000 MB depending on the C: partition size) and hit Shrink to start partition resize as illustrated below (the value of space shrink from below image is lower and only used for demonstration purposes). 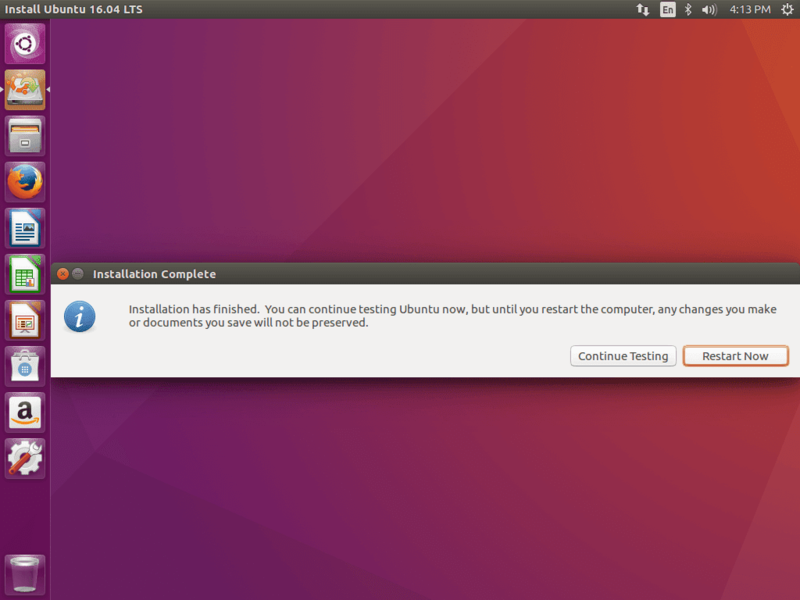 Now it’s time to install Ubuntu 16.04. 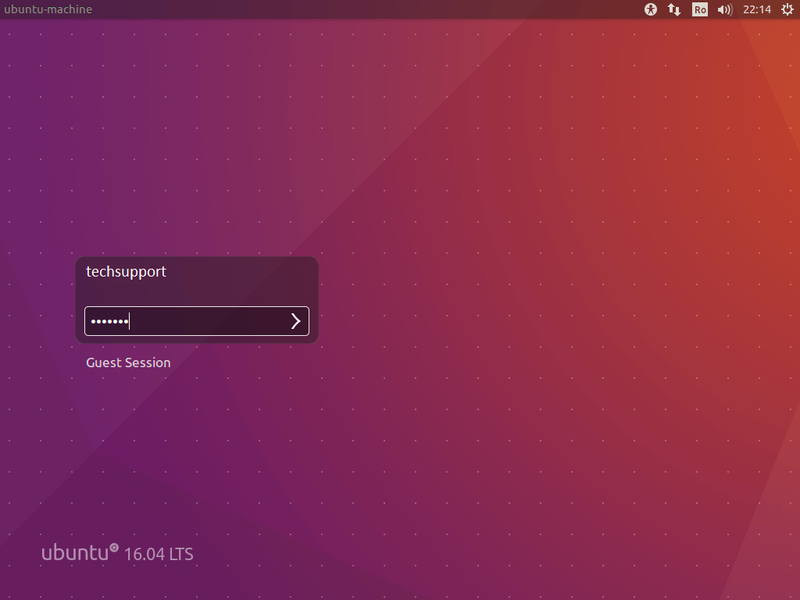 Go the download link from the topic description and grab Ubuntu Desktop 16.04 ISO image. 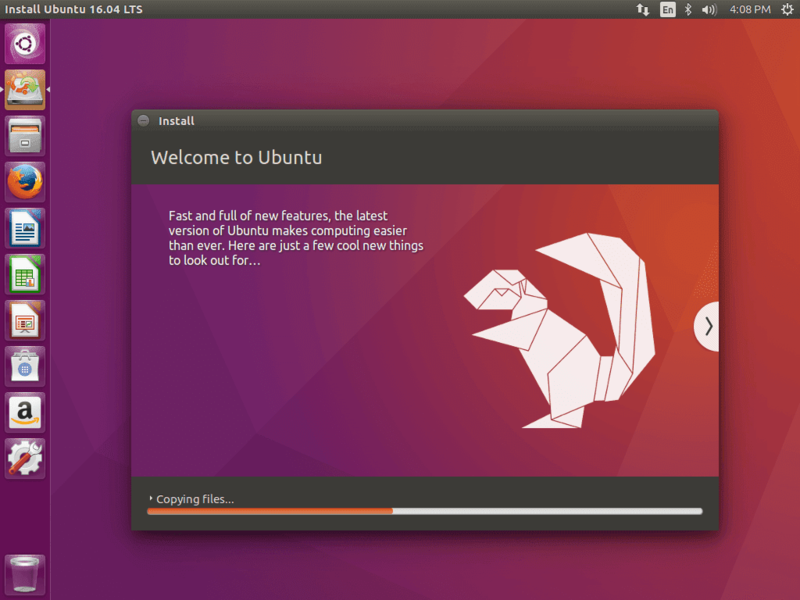 After the boot media finishes loading into RAM you will end-up with a completely functional Ubuntu system running in live-mode. 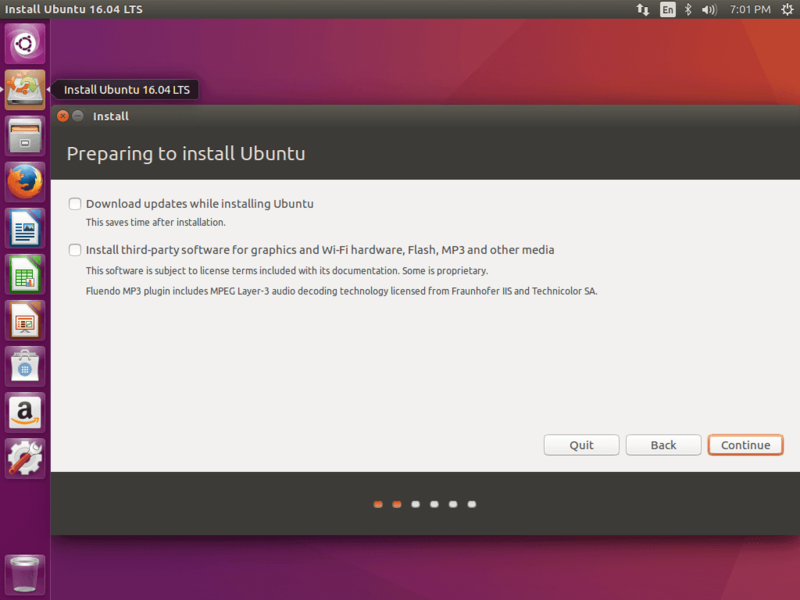 Next, leave both options from Preparing to Install Ubuntu unchecked and hit on Continue button again. Now it’s time to select an Installation Type. You can choose to Install Ubuntu alongside Windows Boot Manager, option that will automatically take care of all the partition steps. 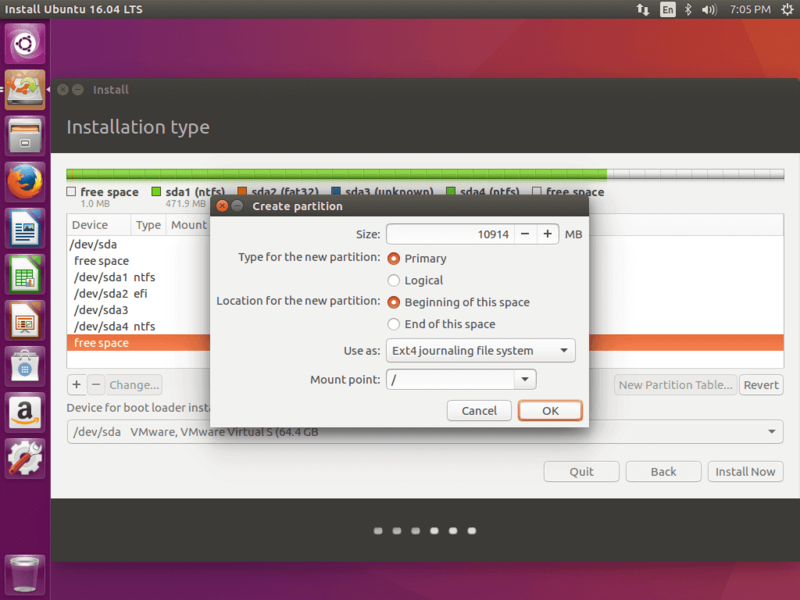 On this step we’ll create our custom partition layout for Ubuntu 16.04. On this guide will recommend that you create two partitions, one for root and the other for home accounts data and no partition for swap (use a swap partition only if you have limited RAM resources or you use a fast SSD). 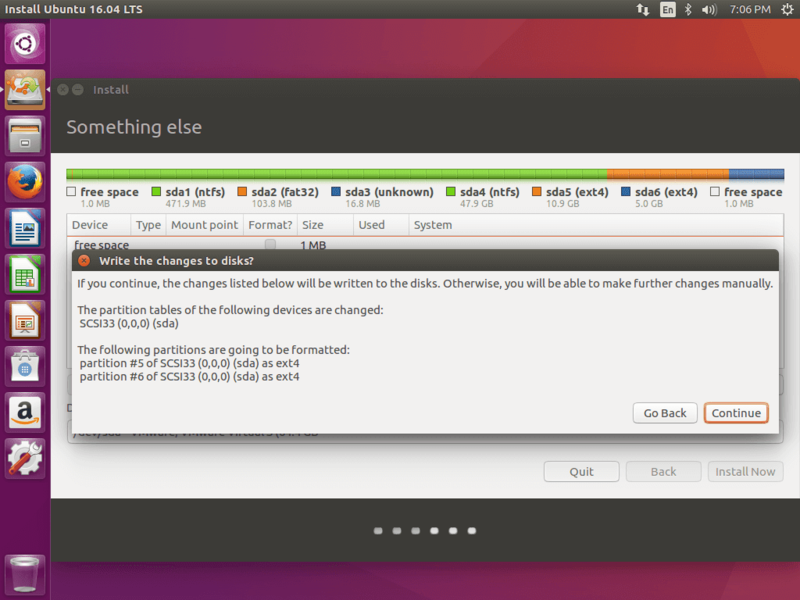 When finished, hit the Install Now button in order to apply changes to disk and start the installation process. On the next screen adjust your machine physical location by selecting a city nearby from the map. When done hit Continue to move ahead. Next, select your keyboard layout and click on Continue button. Pick up a username and password for your administrative sudo account, enter a descriptive name for your computer and hit Continue to finalize the installation. After the installation process reaches its end hit on Restart Now button in order to complete the installation. After Ubuntu finishes loading, login with the credentials created during the installation process and enjoy it. 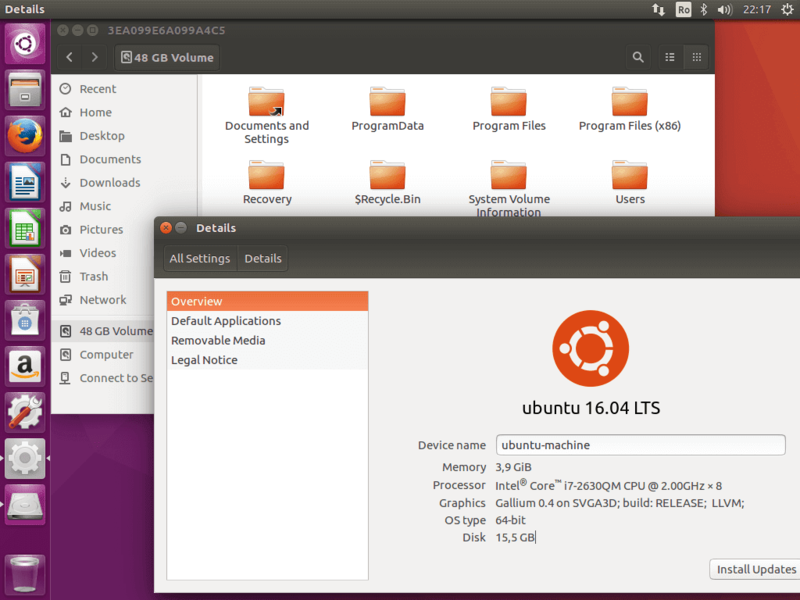 Ubuntu 16.04 provides NTFS file system support automatically so you can access the files from Windows partitions just by clicking on the Windows volume. 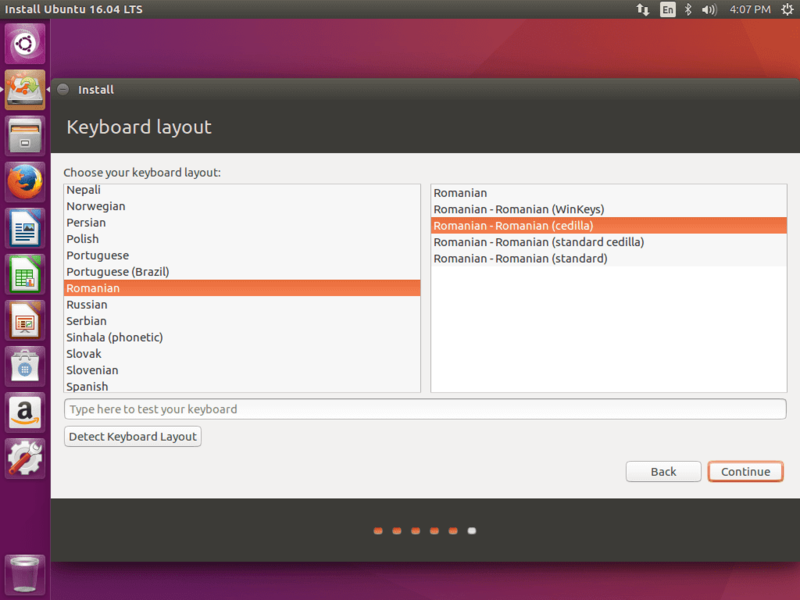 To switch between Windows/Ubuntu, just reboot the computer and select Windows or Ubuntu from the Grub menu.